In our recent blog on Corporate Performance Management (CPM) tools, we discussed the evolution of CPM tools (also known as Enterprise Performance Management, or EPM tools) as a viable and often-superior alternative to traditional on-premise financial systems. 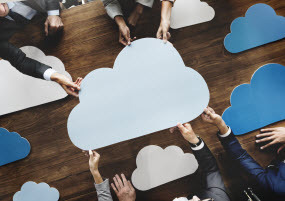 And while the general trend skews toward cloud-based solutions, there are still a number of factors to consider when choosing a solution that’s right for your company. Given the rapidly increasing number of choices — from a variety of different vendors – how do you know where to begin? True, CPM tools are starting to offer more standardized features — but as with any purchase, there is certainly no one-size-fits-all solution. In fact, the list of must-haves largely relies on your organization’s specific needs, both currently and in the future. In this blog, we’ll start with a few general questions you’ll want to ask upfront — then help you hone in on some key considerations and specific product criteria. To find the best-fit CPM solution, you’ll have to start by asking the right questions. First and foremost: what specific processes and functions is your company trying to streamline? More specifically: Are you looking to improve basic bread-and butter functions, like budgeting, planning and forecasting? Or do you need a more comprehensive solution that addresses processes such as financial consolidation, financial reporting, sales operations planning, sales compensation planning, headcount planning and inventory management? One important way to assess those needs upfront is with a comprehensive needs analysis that involves all key stakeholders. This analysis means you’ll want to think about everyone who is involved in the processes that you’re hoping to streamline, from users who are operating the tool first-hand, to team leaders who rely on its reports and results to drive key decisions. Once you have a handle on the organizational processes that you’re trying to solve for, it’s time to hone in on some more specific questions. CPM solutions can generally be characterized in these two ways. CPM suites offer pre-built applications (many of which are customizable to a certain level) that are dedicated to a specific function or process. For example, some solutions focus specifically on budgeting, planning and forecasting; while others support more comprehensive functions mentioned above. The “suites” offering allows you to choose from one product in the suite to the entire suite for a seamless, integrated offering. CPM solutions that are modeling platforms, on the other hand, are powerful, flexible open platforms that allow you to build and customize models from the ground up based on specific organizational processes. For those who want the flexibility but don’t want to recreate the wheel, not to worry: many vendors or even third-party developers offer pre-built CPM applications that you can customize. Also, some of the vendors that offer “suites” may offer complementary modeling platforms; however, these are unlikely to be as powerful and polished as pure-play modeling platforms. For many companies, CPM suites may be perceived as less daunting and easier to adopt since the flexibility has finite boundaries. And in terms of support, it can be easier to troubleshoot suite-related issues by connecting to a product expert who inherently knows the product inside and out. Conversely, modeling platforms, while seemingly limitless in streamlining corporate processes, may require more specialized support as your questions may pertain to models that you built versus a standard application within a suite. This is important to keep in mind for future turnover and succession planning, too, as you’ll want to have the proper means to transfer knowledge for the solution you choose. Excel based or non-Excel based? Many organizations turn to CPM solutions to replace more traditional model, consolidation and reporting methods – namely Excel. But that’s not to say Excel is a thing of the past. Allow me to digress: for better or worse, Excel is still (and will be for the foreseeable future) the common modeling and reporting denominator across all departments in most companies. Let’s face it, there is a good reason why Excel is still prevalent today… it has great model functionality that appeals to the financial and corporate masses. Its reporting is sufficient for people who like to tinker with fonts and colors to their hearts’ content, and even its data analytical capabilities continue to evolve. That said, the goal for most companies is to rely less on Excel for the functionalities that were, in fact, never intended to be Excel’s core strengths. No matter how masterful your team is at nested ifs, Vlookups, choose, scenario, data validation dropdowns and the like – and no matter how impressive your analysts look when presenting intricate toggles on a spreadsheet — the single fact remains: Excel is simply not the best solution for multi-dimensional modeling. Furthermore, it too often results in inefficiencies in both time and processes. Take, for example, a shared data process like budget templates that departments are supposed to simply “fill out.” No matter how well the spreadsheet creator configures this (by locking cells, row, columns and applying color coding, etc. ), Excel’s shortcomings in this process inevitably throw off consolidation results. (Not to mention that your analysts spend too much time tinkering instead of, well… analyzing.) The bottom line is this: there are many, many functions that CPM offerings inherently do better than Excel. So let’s get back to how this factors into your decision in choosing the right solution – and why it’s important to know whether or not the solution you’re consider (whether a suite or modeling platform) is rooted in an Excel-based language. The primary advantage of a solution that is Excel-based is that it’s more familiar and easier to adopt across your organization. Remember, Excel’s modeling language is not bad. It may not be the most efficient anymore but it is still highly functional. With a solution that is Excel-based in model building, team members can create new models with the same type of Excel-based formulas they’ve always used. Conversely, a non-Excel-based solution may be harder for users to build models with at first because it requires a brand-new language — but at the same time, this type of solution may not be subject to the restrictions of the Excel language, meaning it can be leveraged in many new ways. Without getting too technical, it can handle multi-dimensional modeling much more efficiently than Excel-based solutions. Think about your reporting requirements. Who are you creating reports for? Internal managers who are looking for informal snapshots? Or external sources, such as investors, for whom you’ll want to create more polished presentations? Weigh your desired “wow factor” when it comes to the look, feel and functionality of your charts, tables and dashboards. How important is flexibility? Do you need a solution that offers flexible functionality, allowing you to edit and update fonts, colors and formats — or do you prefer an established “report builder” that offers a set look and feel? Will your reports work with existing tasks and processes? You’ll want to be sure they are compatible with simple but critical tasks like copying and pasting reports into common applications like Word. Give technical considerations necessary due diligence. Guaranteed uptime: What is the average uptime benchmark (typically measured as a percentage) for the solutions you’re considering? Bug fixes: What’s the protocol for bug fixes? For example, are bug fixes automatic, or are users given an option to perform them as needed? Brower compatibility: Is the solution compatible across different web browsers and operating systems, as well as various tablets and mobile devices? Information security and cybersecurity: What are the implications of your security requirements (SSAE 16, SOC 1, SOC 2)? Data integration: Will the CPM tool easily integrate into existing data systems, such as ERP, HRIS and various sales operation systems? Are there built-in connectors? And if not, to what extend will they need to be customized? Ask for specifics on the pricing structure. Are users restricted to certain types of applications for a given solution? How many seats do you need, and what is the tier structure of those seats as well as the accompanying privileges? What type of training is included in the pricing? And is there an SLA that requires you to pay extra for additional support? Are there discounts available for multi-year licenses, paying upfront or sheer volume (many seat licenses)? The bottom line on pricing: make sure you understand exactly what you’re paying for, and its return on value as it relates to your specific needs. Are on-premise training options made available to your organization? Or does the vendor offer online training? Are there certification processes involved — and are those included in the pricing structure? Will online training resources be accessible to team member, and updated when needed? Are there third-party consultants and other resources that are knowledgeable about their solutions? Are there any local to your company? Get a clear picture of customer support. Similar to training, there’s a range of support options for every type of solution, every vendor. Above all, you’ll want to have a specific idea on support protocol and availability. Is it a responsive, 24/7 call-in number that directly connects you to an expert? Or will you be required to send an email or open a ticket in the application itself — and if so, what is the guaranteed response time? There are many questions and considerations that go into the CPM selection process, all of which require a good amount of research and due diligence. Keep in mind, there are multiple resources to help you along – from conducting customer reference calls, to attending trade shows, to the strategies mentioned here. Remember, 8020 Consulting can also help you get started in finding a CPM solution that best fits your specific needs — and assist you in getting up and running with it once you’ve decided.